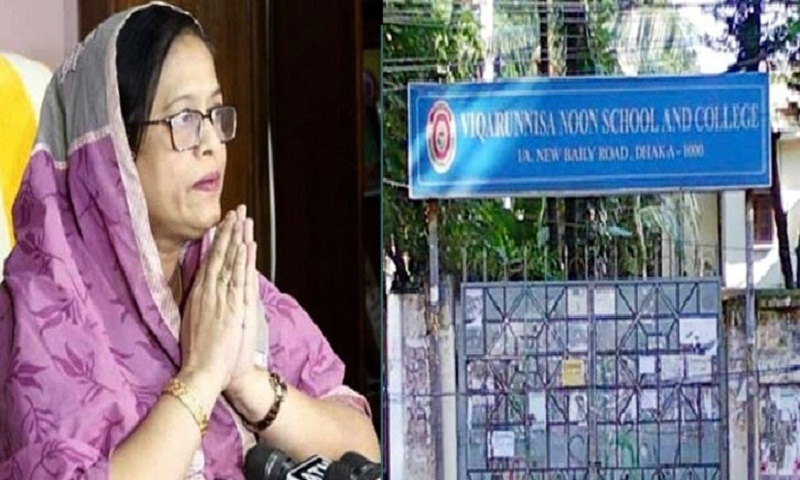 Hasina Begum has been reappointed as the acting principal of Viqarunnisa Noon School and College as she was sacked amid turmoil over the alleged suicide of a student following rebuke. Governing body of the school appointed her on Thursday. As per the directive of Education Ministry, teachers appointments were postponed. For the reason, Hasina Begum was given the charge. The school concerned authorities also took decision that they will sent letter to the education ministry for appointing permanent principal, reports banglanews24.com.